Over 30 businesses support the Quarter’s ‘In Bloom’ flower festival. More than thirty Birmingham Jewellery Quarter businesses and organisations supported this year’s Jewellery Quarter 2010 ‘In Bloom’ flower festival by sponsoring lamppost baskets, flowers, and window boxes. The festival took place as part of competition ‘Britain in Bloom’, which divides entries into 12 English regions and Scotland, Northern Ireland, Wales, Isle of Man and Jersey. Entries are usually made by District, Borough, Town or Parish Councils and vary from small villages to large cities. These entries are then judged against entries of similar status by independent judges. The Jewellery Quarter has taken part in the Regional Heart of England In Bloom initiative since 2006, winning a Neighbourhood Award in 2006 and a Silver Gilt Award in 2007 as part of the Urban Regeneration Category. 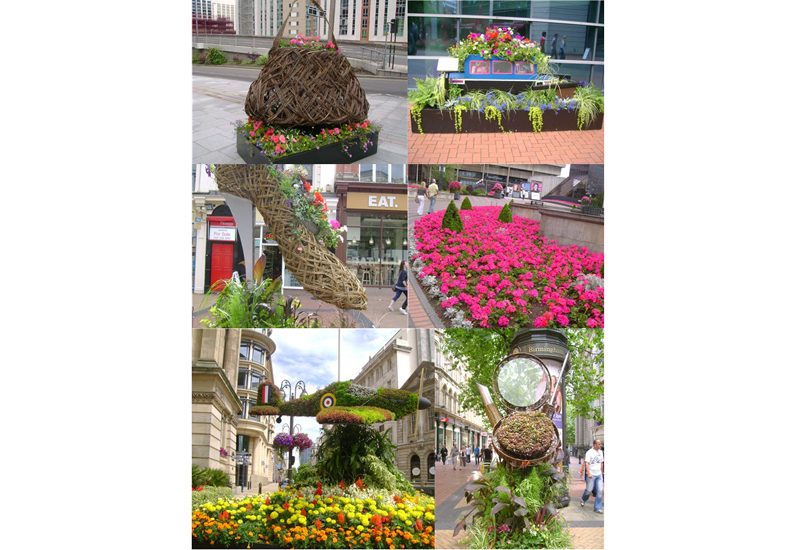 In 2007, the Jewellery Quarter joined forces with the Birmingham City Centre Trail, which won a Gold Award in the Urban Regeneration category and was also nominated for the National Britain ‘In Bloom’ competition in 2009. The Jewellery Quarter In Bloom initiatives are supported by the Ladywood Ward Community Chest Funding and the Working Neighbourhoods Fund. This year Birmingham is competing in the ‘Large City’ category with scoring based on horticultural achievement, environmental responsibility, and community participation. The city’s flowers were judged on July 23 in a whistle stop tour starting at the Lickey Hills Country Park and ending at Lady Holte’s Garden in Aston Hall.